BEEF AND DAIRY CATTLE AND HORSES: Can be used in dust bags, shaker can and mechanical dust applicator. Horn Flies, Lice, Face Flies: Place contents of this package in any commercially available dust bag, suspend bag in areas frequented by cattle or in gateways or lanes through which the animals must pass daily for water, feed, or minerals. Bags may also be placed in loafing sheds or in front of mineral feeders. For dairy cows, bags may be suspended in the exit through which the cows leave the milking barn. The bags should hand 4 to 6 inches below the back line of the cattle. For reduction of face flies, bags must be located so animals will be forced to use them daily and hung at a height so that the face is dusted. 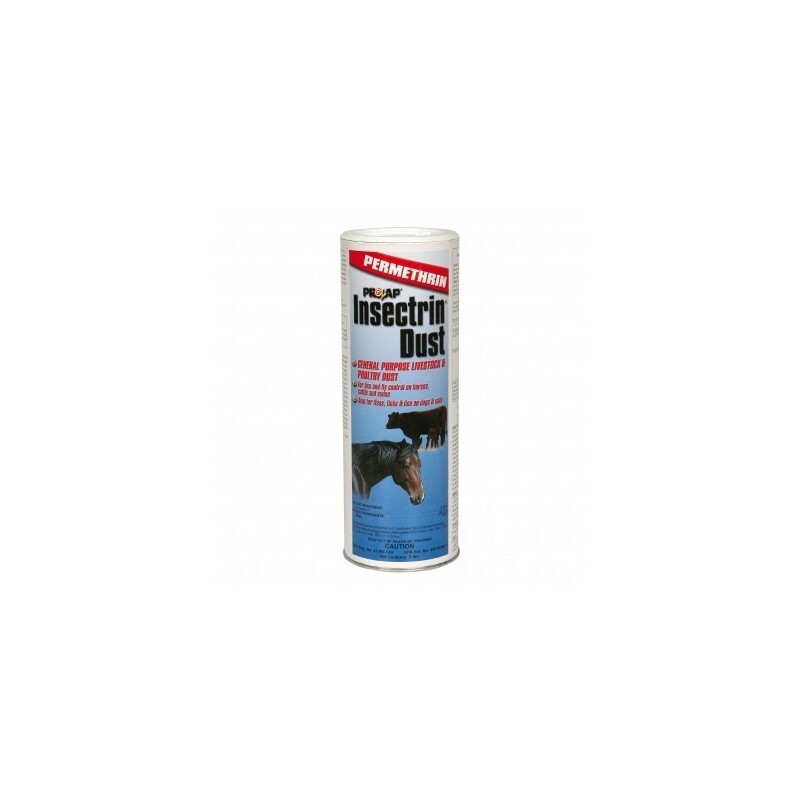 Horn Flies, Lice - Direct Application: Apply 2 oz. of dust per animal by shaker can over head, neck, shoulders, back and legs. SWINE: Lice on Swine Direction Application: Apply only 1 ounce per head as a uniform coat to the head, shoulder and back by use of a shaker can or suitable mechanical dust applicator. Do not apply more often than once every 10 days. In severe infestation, both animals and the bedding may be treated. Do not ship animals for slaughter within 5 days of treatment. POULTRY: To control Northern fowl mites, apply at a rate of 1 lb. per 100 birds. Ensure thorough treatment of vent area. PETS: USE ONLY ON DOGS OR CATS: Consult a veterinarian before using this product on debilitated, aged, pregnant, nursing, or medicated animals. To control fleas, ticks and lice: Use product only outside or in a well-ventilated area. Wearing household latex or rubber gloves, dust entire animal avoiding pet's eyes, nose, mouth and genital areas. Rub or brush pet's hair to work dust down to the skin paying close attention to legs and feet. Use 1/2 oz. on pets 20 pounds and under and 1 oz. on pets over 20 pounds. Reapply every two weeks. This product should not be applied by children. Do not use on puppies or kittens under 12 weeks of age. 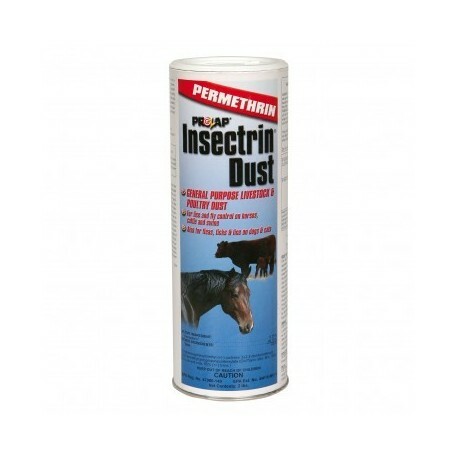 Dust pet bedding and doghouse using a shaker can or other dust applicator. To control ants, carpenter ants: Treat doors, around window frames, ant trails and hills, cracks and crevices and other areas of entry. HUMANS:Harmful if absorbed through the skin. Causes moderate eye irritation. Avoid contact with eyes, skin or clothing. Wash hands before eating, drinking, chewing gum, using tobacco or using the toilet. ANIMALS: Sensitivities may occur after using ANY pesticide product for pets. If signs of sensitivity occur, bathe your pet with mild soap and rinse with large amounts of water. If signs continue, consult a veterinarian immediately.